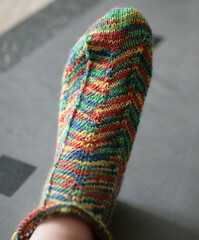 AZZUKNITS: My first pair of socks!!! I'm knitting my first pair of socks!!! I chose Gumperina Jaywalker in Natalia toe up version. 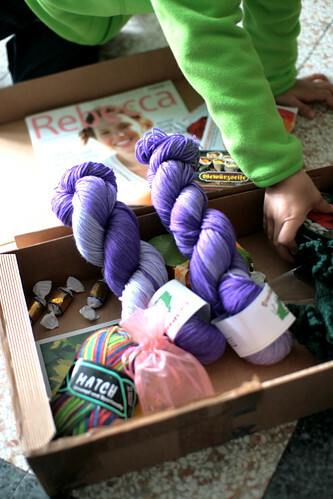 The yarn comes from Germany, from Pzycho, my partner for the Knitter's Treasure Swap. Cannot believe this is your first pair of socks. Welcome to sock-knitting world (smirk). You can't go back to "before sock" you!